This antibody recognizes a 31.5 kDa protein named calretinin. Calretinin is an intracellular calcium-binding protein belonging to the troponin C superfamily characterized by a structural motif described as the EF-hand domain. 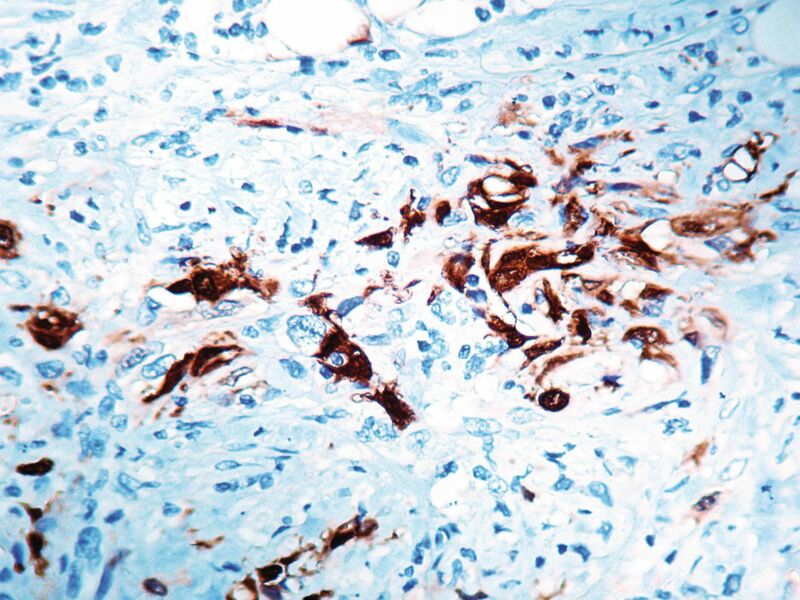 The immunohistochemical detection of calretinin in developing cerebellum is restricted to the later stages indicated by weak staining from week 21 of gestation in Purkinje and basket cells and in neurons of the dentate nucleus. 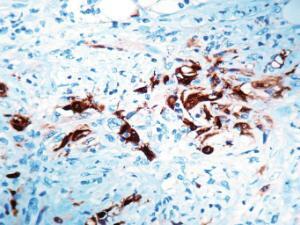 The intensity of staining increases as the cerebellum matures. In tumors, calretinin has been detected in mesotheliomas and some pulmonary adenocarcinomas.